Indian Line Farm’s table at this year’s Berkshire Grown Farmers Market. Photo by Amelia Holmes. Barter, it seems, was never the primary mode of trade for any society. Rather, early markets used systems of reputation and debt to facilitate trade. Though they were often messy or complicated, these systems enabled exchanges to occur between parties that knew they would have repeat interactions with each other—parties with a baseline level of trust between them. This isn’t to say that barter was never used for transactions. Certainly, it was. But Graeber meant to highlight all else occurring in the marketplace that facilitated trade— shared knowledge, shared experience, and the sophisticated social dynamics that underpin a society. Such complexity is lost in a digital marketplace like Amazon or eBay. Seller information is tucked away into a corner, while product information and price dominate. This design exists for convenience and efficiency, of course, but at a cost. When we create transactional platforms where product and price optimization always come first, then the social and ecological context—including who made the product and under what circumstances—will always be an afterthought. The online shopper is trained to fixate on product and price, circumventing the social richness of the market experience. Robyn Van En and farm workers distributing the week’s CSA shares. Photo by Clemens Kalischer. 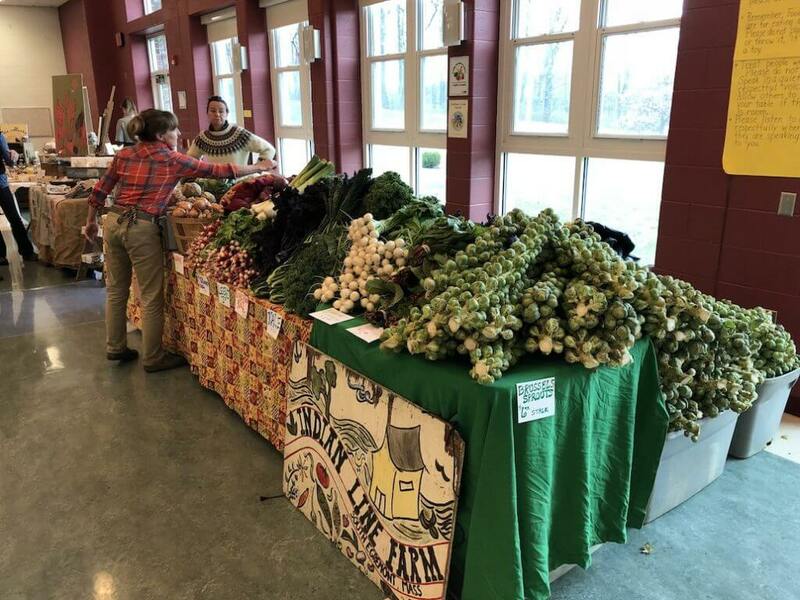 On the other hand, as Stacy Mitchell, co-director of the Institute for Local Self-Reliance, said in her 2006 Annual E. F. Schumacher Lecture: “When we shop at a locally owned business, we connect to an economy that operates on a human scale. Local retailers not only source some goods from local suppliers; they also buy many other services locally. They hire local accountants, they patronize local banks, they advertise on local radio stations and in area newspapers.” These relationships and repeat interactions create networks of trust that make up the core of a healthy society. Mitchell argued, “When corporate retailers come in and displace local retailers, they sever the webs of exchange that link local businesses with one another and with residents, replacing them with a single-track economy in which wealth flows in only one direction: out.” In the age of massive globalization and e-commerce, traditional marketplaces are forcefully disrupted. Demmellash focused on conflict resolution while studying Government at Harvard, a path that took her to Rwanda following the horrific genocide of the 1990s. It was a place in which hope had been destroyed, trust had been decimated. And yet to her surprise she found that people “were still showing up at the marketplace — women who were working so incredibly hard. In so doing, they were re-weaving community.” There were conversations between vendors and customers. Exchanges were made and then made again the following week. Against all odds, a foundation of trust was again taking shape. For Demmellash it was a revelation. She bore witness to “the sweetness of the marketplace.” She understood its power to heal a society, rebuilding the fabric of a society from the ground up in a way no IMF, World Bank, or other international organization was capable of doing. 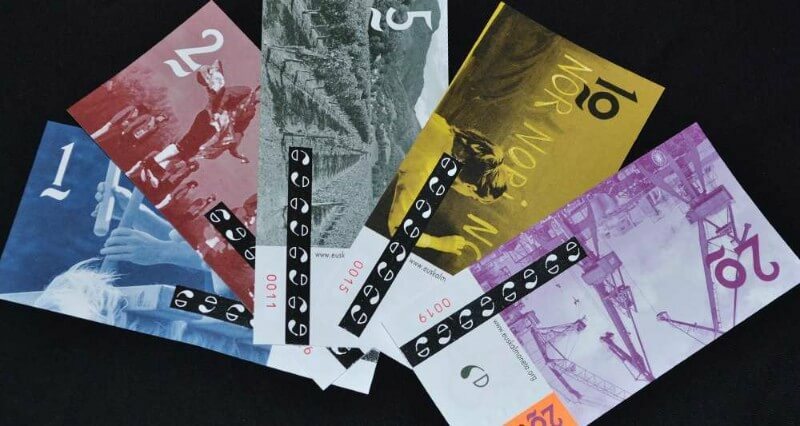 Eusko currency from the Basque region of France. How and where we purchase are choices that we make. Those with BerkShares in their pockets in the Berkshire region of Massachusetts, those with Bristol Pounds on the west coast of England, those with Lémans in the Lake Geneva region of Switzerland, and those with Euskos in the Basque region of France are choosing to shop in the local markets of their home towns, participating in the complexity of relationships that shapes community. Please join them. Printed pamphlets of the Annual E. F. Schumacher Lectures may be ordered here. Gift sets are available. 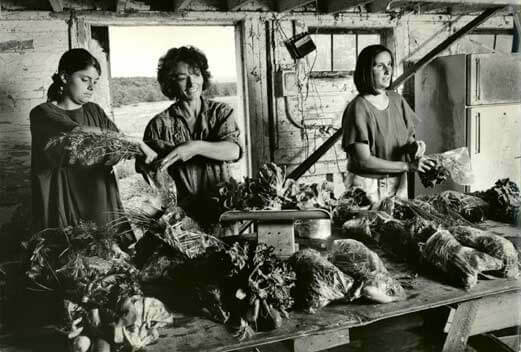 If you appreciate the Schumacher Center’s practical day-to-day work in shaping the transition to a more sustainable and just economy, help us continue the work by making a tax-exempt donation online or by check to Schumacher Center for a New Economics, 140 Jug End Road, Great Barrington, MA 01230. BerkShares are most welcome.